You know what they say about death and taxes. And this time of year, many of us might consider taking the former over the latter. Finances are my business, and even I dread tax season. I find myself thinking about all the things I’d rather be doing instead of organizing and tracking down 1099s, W2s, meal and travel expenses, mortgage statements and all the rest. But, next time you wince at the thought of doing your taxes, remember that it’s likely the largest bill you’ll pay this year. That’s a big incentive to get it right. If there’s one place to make sure you’re not being overbilled, it’s here. 1. Pay yourself. Don’t forget to make IRA or ROTH IRA contributions before April 15. 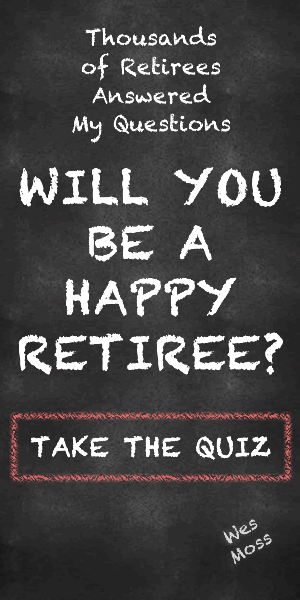 This is a wonderful way to save for your happy retirement years. Here’s a useful tool for determining how much you can contribute. 2. Don’t miss out on interest deductions. Some lenders no longer send 1098s to customers who receive electronic statements. Be sure to account for every statement that you should have received for both interest you paid (mortgages, student loans) AND interest you received (bank accounts). This is especially important if you re-financed this year. 3. Avoid penalties. If you owe the IRS money be sure to file your return by April 15th – even if you can’t pay the full amount. If you don’t you could be socked with a 5 percent penalty on the balance owed each month it’s late – up to a maximum of 25 percent. That’s on top of your failure-to-pay penalty, which you will be assessed regardless, if taxes are owed and not fully paid by April 15th. Similarly, if you file for an extension, pay what you can by April 15 to avoid a failure to pay penalty. 4. You’re rewarded for going green. If you purchased qualified energy-efficient property or appliances in 2012, remember to include them on your Federal return. You could get up to a $500 credit, which is even better than a deduction. This benefit applies to everyone, not just those who itemize. Here’s a great website that explains the green tax credits. 5. Opt for direct deposit of your refund. It will arrive faster – in as little as eight days, if you’re lucky. Direct deposit also lowers your risk of fraud and theft. And did you know that you can split your refund among several bank accounts, including an IRA? Tax preparation is never going to be anyone’s favorite pastime, but give it your best effort. You’ll sleep better at night knowing that you left it all on the field in your annual scrimmage with Uncle Sam.